No time? If you are feeling the pressure of what feels like increasing amounts of work and less time to do it in, you are not alone. Technology, like the computers we’re both using right now to communicate, has brought many blessings, but a sort of tyranny has come with it. Just keeping up with email can mean countless hours alone, staring at the flickering screen. How long has it been since you just went outside, lay down in the grass, and watched the clouds? Does that idea feel somehow shocking, distasteful, dangerous, wrong, lazy, subversive; the slippery slope to slackerdom? Do your nerves twitch at the thought of the many things that you should be getting done? How wasteful – doing nothing! But it’s not nothing; such down-time is how the imagination recharges. And the more creativity and life energy we have, the more brilliantly productive we can be – not to mention more happy. I’ve finally come to the conclusion that there will always be too much work to get done in the time allotted for it, so constantly rushing to keep up is an exercise in futility; a stress-inducing mistake. I think of my dad: when he worked, he worked hard. And then – here’s the kicker – he’d stop working. He did not get caught in that trap that many of us do, of sort of working all the time. All of the time. ALL the time. Lemme just take a moment to check my email. Again. In the interest of sanity, we might ask ourselves, when do I allow myself to simply not participate? To rest, play, connect via real bodies, eat a long meal and talk together, do hands-on projects, or just walk around? And then to re-engage with work in a way that seems inviting since our energy is renewed? I like to take one day per week to simply not engage electronically; to “just say no” to that particularly addictive mind drug. No internet, no email, no DVDs, no TV, no voicemail. I’m not Orthodox Jewish; I still do things like use my car to get in the groceries. I’ll do house chores, make something, play music, take a little hike, or read a book. It feels so freeing. When is the last time you spent an entire day wallowing in a novel? There’s a little movement afoot to support this sort of thing, the National Day of Unplugging. I see this as part of a living ecopsychological meme, the return of a regular day of rest. The Sabbath was a very good idea whose time has come again, as our need is great. Such activities (or non-activities!) can contribute a great deal to our collective mental health, soul spaciousness, and subversive delight. Just say no to constantly being wired. 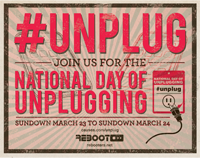 This year, the Day of Unplugging runs from sundown Friday, March 23 to sundown, Saturday March 24. You might want to join in too. 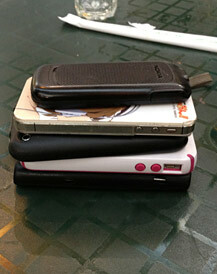 And now, a fun techno-intervention for every day: the Cell Phone Stack. It works like this: as you arrive, each person places their phone facedown in the center of the table. (If you’re feeling theatrical, you can go for a stack like this one, but it’s not required.) As the meal goes on, you’ll hear various texts and emails arriving… and you’ll do absolutely nothing. You’ll face temptation—maybe even a few involuntary reaches toward the middle of the table—but you’ll be bound by the single, all-important rule of the phone stack. Whoever picks up their phone is footing the bill. It’s a brilliant piece of social engineering, masquerading as a bar game. It takes the phone out of the pocket—where you can sneak a glance and hope nobody notices—and places it in the center of attention at all times. Suddenly, picking up your phone is the big deal you always secretly knew it was. And more importantly, it comes with consequences. Texting Is Totally Different from Answering a Phone Call. This was the most common and most mystifying response. On some level, it’s true—texting is not nearly as rude as talking on the phone—but that doesn’t mean it isn’t rude. Anytime you’re giving a pocket-sized gadget precedence over a human being, something has gone wrong. My Job Requires Me to Be On Call 24 Hours a Day. No, it doesn’t; you just like to say that. Please begin to take some of each day’s 24 hours back for yourself. Do it often, if only for 10 minutes at a time. It’s a start. I hope I’ll get to join you watching pictures form in the clouds. Or hanging out at night and looking at the stars. Or wandering around the neighborhood like in a Ray Bradbury story, petting all of the cats and dogs. Or searching for edible weeds. Or loafing high in some tree’s branches all day, listening to birdsong. I’ll bring my book, and we can talk. Yesterday I happened to have the radio on, and caught a show that blew my socks off, a recording of Mike Daisey’s stage performance about a trip he took to China. It’s an excerpt from his one-man play, “The Agony and the Ecstasy of Steve Jobs.” A self-proclaimed “worshipper in the cult of Mac,” when Daisey gleefully opened up his newest iPhone, he found four photos on it – photos taken in the factory, as a test of the camera. He began to be haunted by these images. It occurred to him that he’d never once given a thought about how his beloved gadgets came into being. So bless his heart, he went to find out. This is one of the best whole-systems pieces I’ve ever heard. I doubt it would be possible to listen to it and not come away with a deeply expanded awareness of the need to consider the life-cycle of all of our things. Mike Daisey did fabulous journalism, to begin with; through his detailed, evocative imagery, the listener really feels herself to be there with him, seeing and hearing what he is experiencing. When he interviews a worker whose hands were ruined by the minute repetitive work of creating iPads and then realizes that this man has never actually seen one completed, let alone one powered up and working, I was glued to the radio. The man thought Daisey’s iPad was like magic. And it is, in a way. I’m incredibly grateful to our technology, from radios on, for allowing me to hear Daisey’s performance done thousands of miles away, and allowing you to read my words about it now. Daisey’s honesty about the dilemmas this growing awareness poses in his life is refreshing, and it is an issue we all face, whether we think about it or not. If you are reading this on a personal computer, you are complicit, as am I. How best to deal with this reality? On a personal level, should we give our gadgets up and try to live a materially simpler life? Or is the commerce actually helping the people there, as many claim? 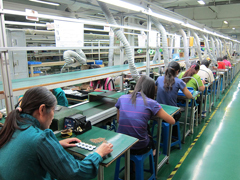 On a societal level, does the problem simply lie with unscrupulous companies in Shenzhen (a former fishing village, now manufacturing central) trying to make the biggest bucks in the fastest time; shades of the Gold Rush in the American West; boom and bust, and damn the consequences? If so, could it be fixable through stronger governmental oversight of the tech industry and overseas manufacturing? Or is the problem actually rooted more deeply in the west’s rampant overconsumption; in the corporate capitalist industrial growth model itself? All of the above? I intend to give Mr. Daisey and the Apple Factory to the students in my Ecopsychology in Context course at Naropa this semester as part of their required “reading.” It’s that good. Be sure to listen to the commentary afterward, too. It’s much dryer, but contains important follow-up journalism regarding Apple’s response that will make you think even more deeply about the issue. A middle-ground response for the individual could be to just keep the gadget you have for as long as you can before replacing it. This would help on both ends of its life, the manufacturing end and the discarding end. How about we re-define the “coolness” factor to include long-term sustainability for both planet and people? 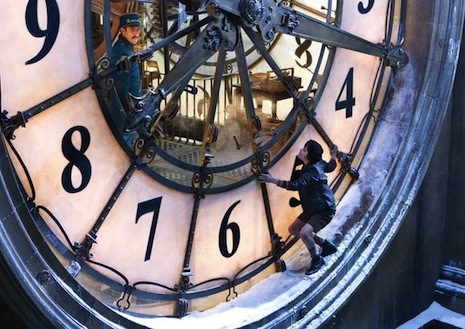 You can hear the piece on NPR’s This American Life website (after 7 pm Sun 1/8/12). It’s episode #454. There’s a short promo too, so you can see if you’re interested. Please let me know what you think about these things here in the Comments section! Update 1/16/12: Apple has responded with a new page on their website, Supplier Responsibility at Apple. Update 3/3/13 (rather late, but I just found out about this): NPR has retracted the story since discovering that some of this powerful piece was, sadly, falsified by Mike Daisey. I apologize for unintentionally passing on false information. According to my keen-eyed student, Jason Butler, who brought my attention to this, it is to this date the only story that This American Life has ever retracted. Although now proven to be at least partially fictional, it is still a powerful meditation on some of the systemic effects of global capitalism. To learn more about that, I suggest John Ryan and Alan Thein Durning’s excellent short book Stuff: The Secret Lives of Everyday Things, and the subsequent (easily Googleable) film along the same lines, The Story of Stuff. This is a PSA for all of you wannabe hackers – and those who would rather not be hacked. Being a fan of cyberpunk sf and now those Dragon Tattoo books, I have felt something close to awe for hackers. They seemed an elite club of folks with esoteric knowledge. But no more: now the technopeasant masses can hack into others’ accounts with a push of a button. The app is called Firesheep. When you are logged in at a public hotspot, someone using this free app can sneak in to sites under your name, just as if they were you. It reminds me of those old movies where a person gets into the elite nightclub by walking closely on the tail of someone else’s large party. Or Harry Potter’s Cloak of Invisibility. 2) Do not store automatic log-in passwords. Manually log in when you enter a site. Log out and close the browser window every time you end a session. Sigh. I loved the automatic sign-in feature, being a person of Very Little Memory for Numbers. But the drawbridge must now be pulled up. We have been warned. Or, for those of different ethical standards, informed about a new business opportunity. If you’re currently in northwestern California, hie thy hiney out to Bodega Head (in Sonoma County, northwest of San Francisco), because the grey whales are feeding there. Five of them been hanging around very close to shore for nearly 3 weeks now. I’ve gone out to see them twice, and it’s truly a lifetime experience. Standing on the cliff with several dozen other awestruck people who remain silent enough to hear the whales’ breathing, you wait. But not long. Soon a spout is seen and heard; then another. They seem to breathe twice in a row, so if you notice one and turn your eyes or raise your binoculars in that direction, you have a chance at seeing part of a magnificently long back, or even a tail. Seals are there too, bobbing around in the kelp, and cormorants drying their wings on the cliff sides, and obviously loads of krill, which is what drew the greys in the first place. Many people try to get photos of them. I can certainly understand why. But I think that unless you have very specialized fancy lenses, it’s an exercise in futility. I remember being a research slave –er, that is, assistant, on a project studying orcas in British Columbia. One time, our little rubber boat was absolutely surrounded by orcas. I’m a desert kid who had never been near these magnificent marine mammals in the wild, and of course I wanted to photograph them. But I had only a cheapo instamatic (remember film?) & I couldn’t get a good picture. By the time I turned the camera in the right direction where I’d heard one blow, the orcas had descended. I came awake after awhile and realized that even while I was living one of the most moving animal encounters of my life, I found myself actually feeling frustration because of my inability to capture it on film. When I realized this, I nearly threw the camera overboard. Instead, I quietly packed it away and just began to witness. Watch, listen, feel. No documentation, only pure experience. In the moment. Wow. I realized that the use of this technology, while very fun indeed to make art with to share with friends later, actually was doing violence to my encounter with these great beings. I was thinking about the future; about the capture, instead of the relationship now. It was a hunter’s mentality, not a communer’s. So on Bodega Head this week, I just stood there in the wind. And the gray whales swam and ate. And we likeminded strangers all watched, nobody jostling for position; just being and hoping and enjoying the seconds of witnessing when that grace of the whales’ ascent was granted us. The grays’ western North America tour plan is pictured on the right. Come on out & see them too if you can.